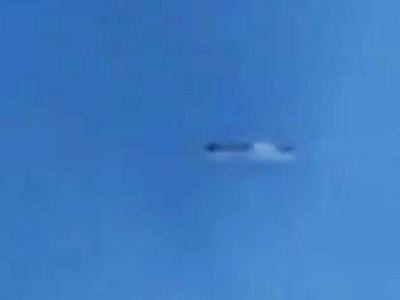 UFO hotspot: alien spaceship photographed in Siberia – again! New photographs of a strange object which could be...well…anything, have appeared in the Russian press. 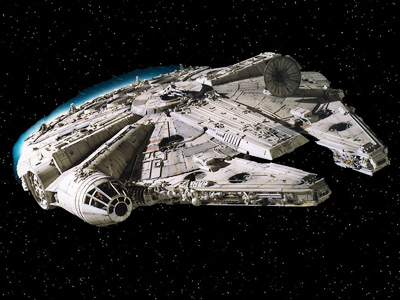 The photographer shot them by incident, and Moscow ufologists eagerly claim it is an alien spaceship, and even name the type. 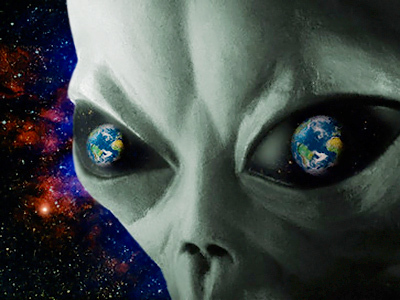 An ordinary resident of the Kemerovo Region of Siberia has become another witness to an “alien presence” on Earth, when she shot a few strange-looking UFO-like objects on Sunday. Lyubov Lavrenkova was shooting the idyllic scene of her husband playing with their dog in the backyard of her house when she suddenly saw strange objects in the camera lens. “I first thought it was a fire. I was afraid I could have left the gas on in the kitchen,” she told the local newspaper Kuzbass. The “white cloud” not only appeared in Lyubov’s camera, it made a quick move and then dissolved. When she caught sight of it again it was close to the ground, near the hedge, and looked like a giant grasshopper. After the “contact” she could not sleep well. The marks on the grass near the hedge only fueled her imagination. The grass was partly burned, partly squashed. Moreover, a small piece of film was found – very thin, but solid. The people in the village say the area was covered with something like engine oil. 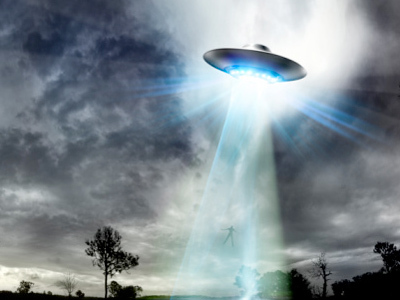 After the information was sent to a Moscow ufologist, the fanciful thoughts were realized – it was a UFO, the expert affirmed, and such objects are quite common on pictures shot by amateur cameras in the world. Such objects, the expert told the newspaper, cannot be caught by a human’s eye, but even the simplest camera can fix on it. The explanation of the white fire is that it is a plasm capsule that “excited atmospheric gas and changed the flight trajectory of the UFO”. 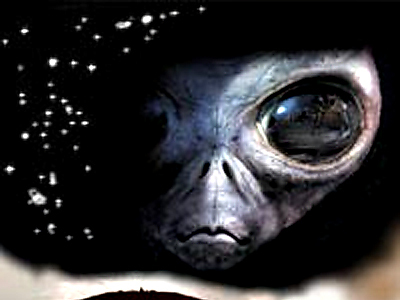 Both aliens and residents of Siberia have shown a great interest in each other lately, with local media constantly reporting ET encounters. About a year ago, a group of students claimed to have seen a spaceship of unearthly nature in the woods of the Kemerovo Region during a geological expedition. The authenticity of the video is not proven, nor is it said that the tape is fake. 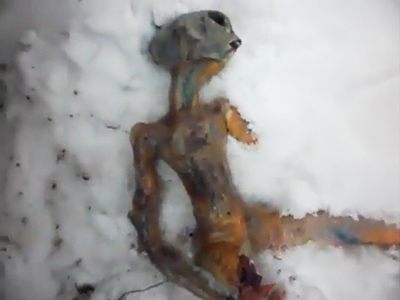 ­In April this year, residents of another Siberian region, the republic of Buryatia, shot a YouTube hit showing a very true-to-life “dead alien” body, which later turned out to be skillfully made of chicken skin and filled with bread.